Diaspora is a multifaceted and multi-disciplinary concept with several definitions and applications. Regardless of the definition, the phenomenon is relevant for international business. As a result of globalization and international migration, diasporas and migrants are increasingly influencing the everyday conduct of international business, economy and society as a whole. Diverse diaspora networks act and shape the global and local business environment that become more glocal, more transnational and interconnected. This book provides a broad discussion on different diaspora influences, roles and mechanisms, as well as theories and empirical studies from various settings. Numerous novel insights and perspectives are presented from different areas and contexts. 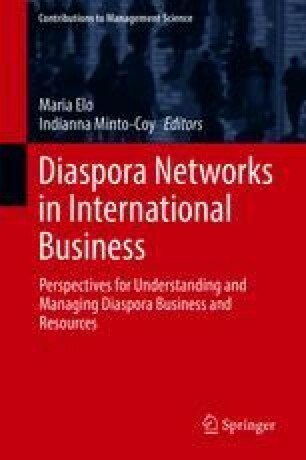 It contributes to the broadening of the international business lens, the conceptual and contextual understanding of diaspora actors, and to several debates on approaches to how diaspora networks are employed in international business, entrepreneurship and development.